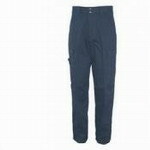 ACU Pant: T/C 65/35 DuPont Teflon® Coated 6.50 oz. 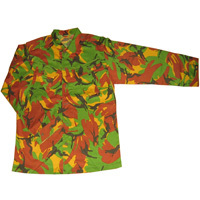 ACU Coat: T/C 65/35 DuPont Teflon® Coated 6.50 oz. 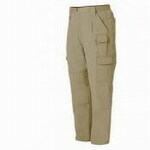 BDU Pant: CVC 60/40 6.00 oz. 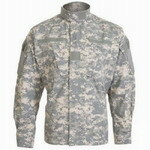 BDU Coat: CVC 60/40 6.00 oz. 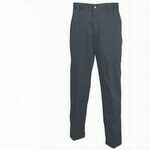 DPM Combat Trousers: T/C 65/35 Twill 7.00 oz. 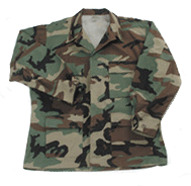 DPM Combat Jacket: T/C 65/35 Twill 7.00 oz. EMT Pant: T/C 65/35 DuPont Teflon® Coated 8.50 oz. 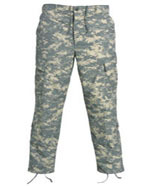 Station Pant: T/C 65/35 DuPont Teflon® Coated 8.50 oz. 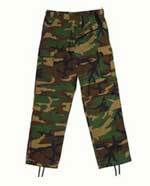 Tactical Pant: T/C 65/35 DuPont Teflon® Coated 8.50 oz. BDU Shorts: CVC 60/40 6.00 oz. EMT Shorts: T/C 65/35 8.50 oz. 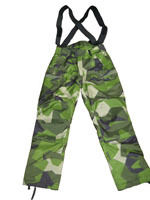 Waterproof&Breathable Trousers: 100% Nylon Shell fabric, e-PTFE membrane laminated inner fabric. Waterproof and breathable. 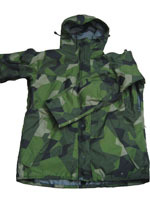 Waterproof&Breathable Jacket: 100% Nylon Shell fabric, e-PTFE membrane laminated inner fabric. Waterproof and breathable. 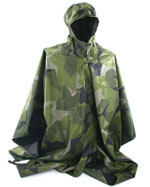 Poncho: 100% Nylon Shell fabric+e-PTFE membrane+Mesh laminated fabric. 100% waterproof, and breathable. 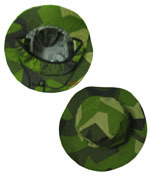 Bush Hat: 100% Nylon Shell fabric, e-PTFE membrane laminated inner fabric. Waterproof and breathable. Socks: Wool socks; Cotton socks, etc.